As promised in Hallelujah Thursdays, I bring you the daring creative and change agent, Gabriela Fraser. She is an accomplished event coordinator, fashion designer and stylist with a penchant for the avant garde and a philanthropic flair to bridge the gap between creatives and those with ‘big dreams but small means’. 2014: Established The Avant Garden (Pty) Ltd.
2013: Founded Gabriela Fraser Designs (Pty) Ltd. I was privileged enough to be added to the press list for TEMPOrium V4.0 where I experienced first-hand the urban energies and creative synergies that Gabriela’s work brings to bloom. Let’s dig deeper into the drivers of this entrepreneur. Has design thinking always been an impulse in your life? Where does it stem from? I think creativity is a choice. Anything has the potential to inspire, whether you open your mind and run with the imagination or not is often what sets the bold apart from the regular. I grew up on a beautiful citrus farm in one of the most magnificent valleys so I have always been surrounded by, and submerged myself in nature! This has always been a source of inspiration and starting point for the design process in anything I do. My affinity for animals definitely influences my life and the way I do things too. I think I practise and apply principles of bio-mimicry more than I may realise. We have a lot to learn about the basics, we very often get caught in the beauty and the brilliance of an idea and when we pay attention nature has a great way of reminding us about what’s important. 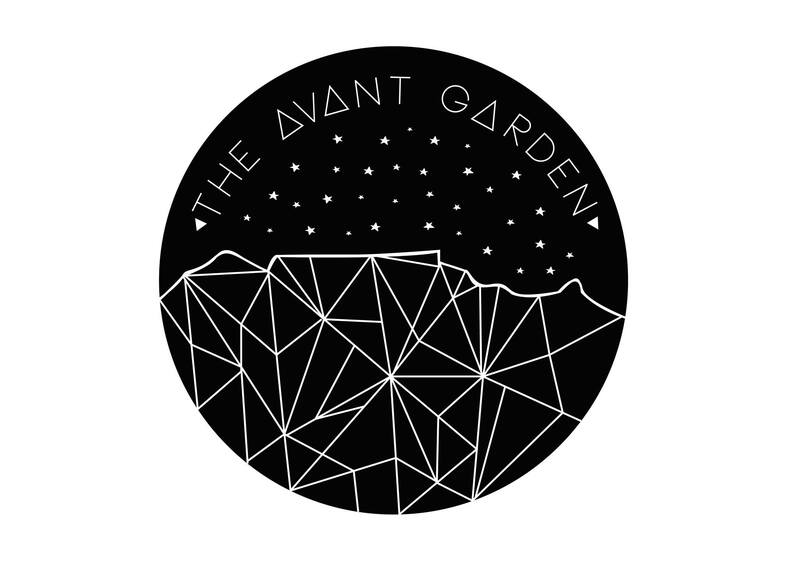 How did you know starting The Avant Garden was what you had to do? Upon graduating, I was faced with a massive personal turmoil – do I sell my soul (and creativity) to a big corporate brand and get lost in the system, or do I intern for free, waitress for peanuts and lose too much sleep for no dream-chasing reason? Life is about choice and change, but also about opportunity. It took me many unstimulating hours at entry level jobs to puzzle out how I could possibly make fashion design my career without the help of a large trust fund or at the risk of losing my identity as a designer … and then it struck me. I looked around and realised I knew hundreds of creative friends struggling to break into their relevant industries and narrow the gap from being a broke student, to holding down a successful, viable career that aligned with their passions. Eureka! The industry needed positive change, and I was going to do everything in my insignificant, naïve power, to embody the start of a ripple effect! How was another question entirely, but I had the inklings for greatness and I was more than ready to shake things up. TEMPOrium sprouted from your desire to enable “growth amongst young, talented, creative professionals through ‘connecting creativity’”. What are the biggest obstacles to collaboration and what skills did you have to draw on to make it a success? Collaboration is easy. It usually starts with the slightest smile and opening yourself up just a little bit to new people in order to ignite a mutually beneficial connection. The problem in creative circles though, is that they’re small and their counterparts are often not very comfortable with making the circle bigger. It very potentially has something to do with the stereotypical Cape Town cliques, but this doesn’t justify filling the mould as opposed to breaking out. Understandably, creativity is a very personal thing, and thus people’s lack of confidence or conviction in their aesthetic often comes across as arrogance or ego. Creativity is so much more powerful, and fun, when it is the expression of a collective though. Working close to and alongside other creatives, sharing and bouncing ideas, is the most energizing, inspiring and utterly motivating thing one can do. The biggest challenge is breaking down these walls and galvanizing a group of people that share the same vision, work in a similar way and want the same things. People skills and communication are essential, and it was my friends with whom I already had this practise with. Once I had identified the necessary personalities amongst them, it just took a little convincing, a few clever icebreakers and a lot of wine! What 3 pieces of advice can you give aspiring entrepreneurs? Be Nice. Be Fair. Be Kind. You can be part of the movement by attending the next instalment of “fashion, wine and everything fine” at TEMPOrium V5.0 hosted once more at their partner haunt, Jackal & Hide, 108 Kloof Street, Gardens on Thursday 25th June 2015. If you’d like to contact Gabriela, you can reach her by email, call her on 083 320 4252, like her Facebook and follow her Twitter, Instagram and WordPress pages. Get inspired and watch this video on YouTube.